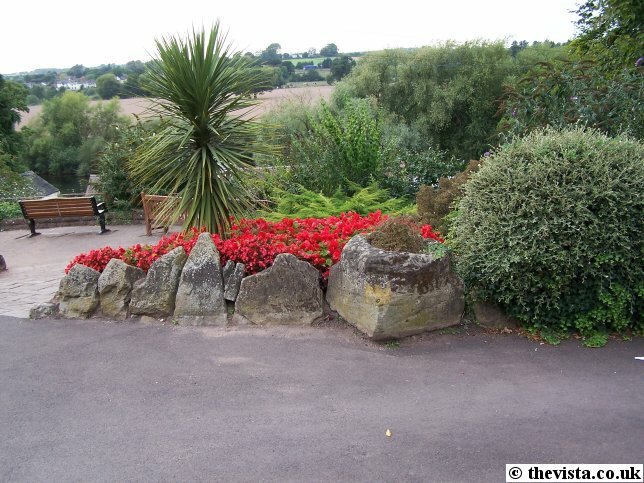 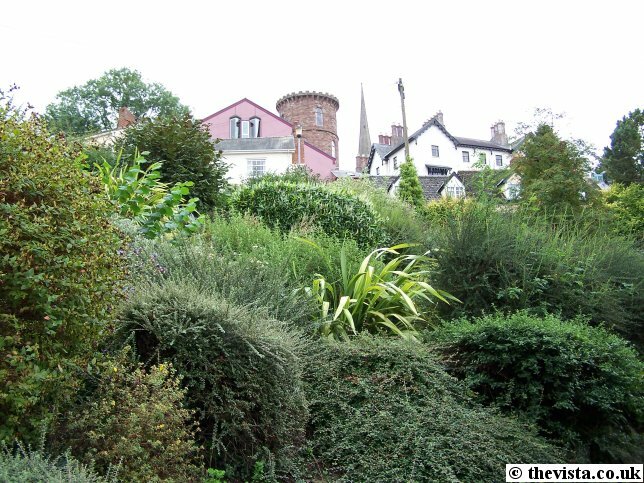 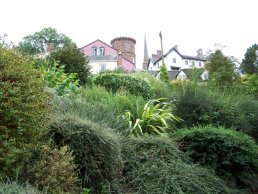 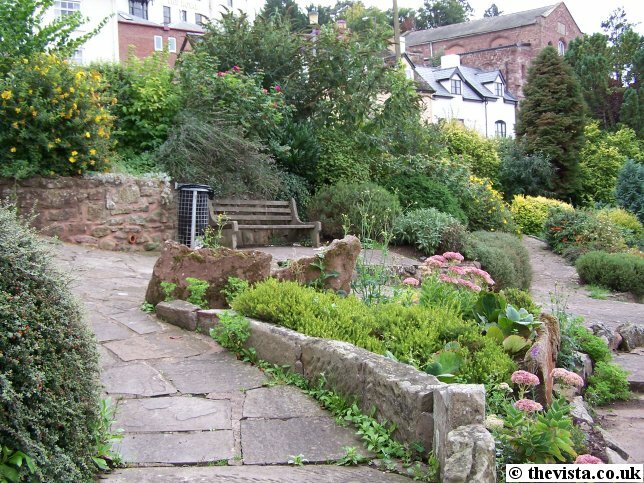 The Thomas Blake Memorial Garden was built to commemorate the work that Thomas Blake did for the Town. He lived in Ross and was a generous benefactor of the town and a few of his many achievements were that he gave the town 'The Ross Free Library, Reading-Room, and Recreation-Grounds' which was located in Broad street, he was a member of the management committee for the Ross Dispensary, president of the Ross and Archenfield Benefit Building Society in Ross, a trustee of the Ross Penny Bank, chairman of the Ross School Board and he gave the Prospect to the Town for all time. 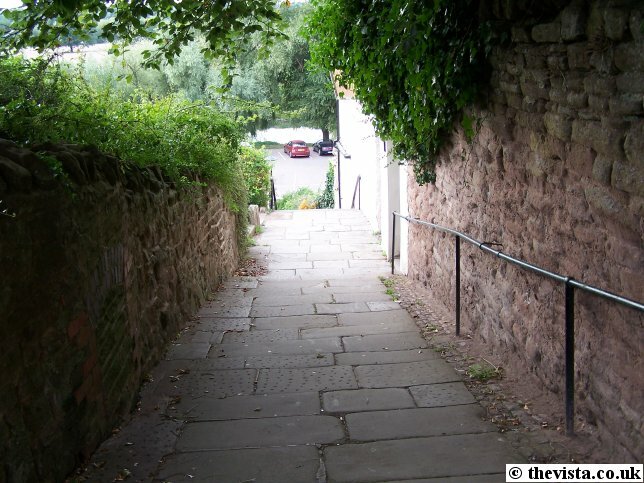 He was also involved in providing the town with a fresh water supply via pipes fed from the Prospect. 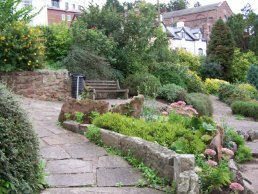 He was also given the honour of opening the board school in Cantilupe road showing he was quite well respected within the town. 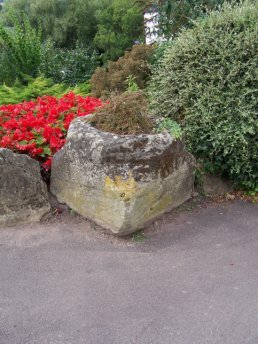 Built into the Blake Memorial Garden, which lies just on the river side of Wye Street and behind the Hope and Anchor public house, is the reputed socket from the preaching cross that gave 'Edde Cross Street' its name. It was found at the junction between New Street and Edde Cross Street in around 1910. This is one of the paths leading down to The Rope Walk. This runs down to the left side of the Blake Memorial Garden. 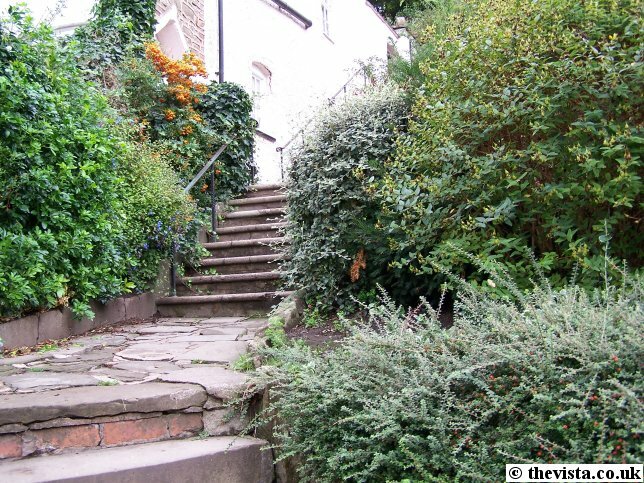 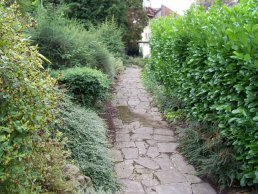 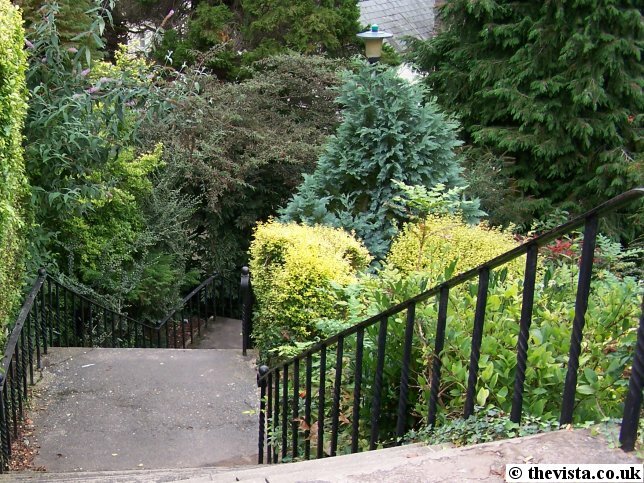 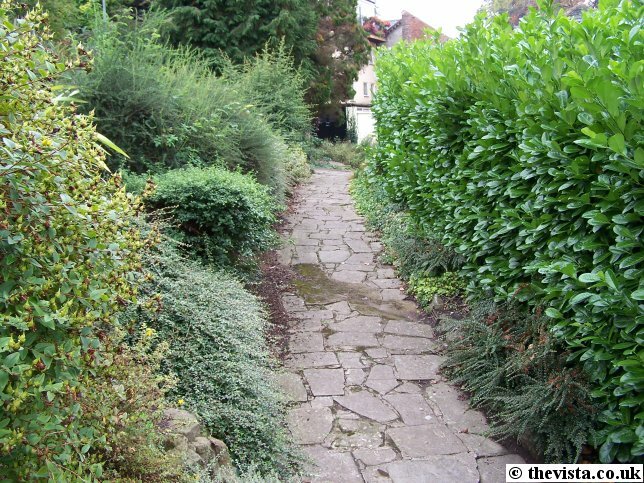 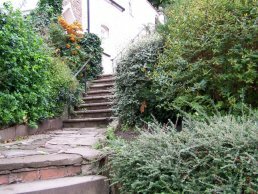 The steps down the left side of the garden down to the Hope and Anchor pub.